CSUN (10-7) blanked both George Mason (10-8) and Harvard (5-9) over the weekend in three sets to close out non-conference play. 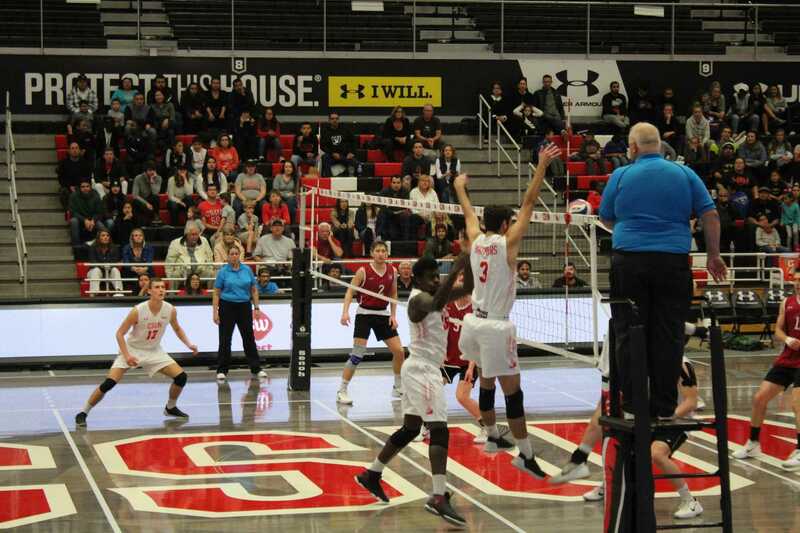 The Matadors looked sharp on Friday, sweeping a fired up George Mason squad who had multiple players receive yellow cards in the second set. The George Mason University Patriots came into the Matadome on a six-game win streak. The flames of the streak were quickly extinguished, however, as the Matadors took the game with scores of (25-23, 25-18 and 25-19). 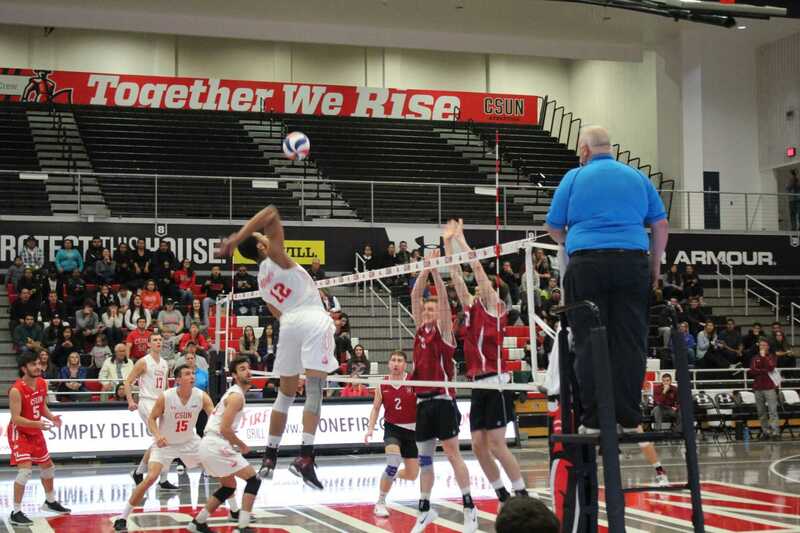 Outside Dimitar Kalchev led the way for CSUN with 16 kills against the Patriots. George Mason was the third team to have a win streak of at least four games end in the Matadome. Harvard then became the fourth. The Harvard Crimson visited the Matadome on Saturday after winning four straight games. The Matadors looked unstoppable and ended yet another streak. Opposite Arvis Greene led with 12 kills. Greene hit .446 on the weekend totaling in 26 kills. Kalchev followed with 24 kills on the weekend. “We got some good momentum after a tough four or five game loss streak,” Greene said. CSUN had dropped three in a row coming into Friday. Middle blocker Josiah Byers made the most of his touches over the weekend hitting .584 with 12 kills. There is yet to be an answer for Byers slamming quick sets from setter Sam Porter. Byers’ elevation and strength allow him to destroy the ball and give opposing blockers fits. Porter was great all weekend finishing with 60 assists and one nasty solo block against Harvard. The Matadors now prepare for the final stretch of the season before the Big West tournament. CSUN will have their hands full as No. 2 Hawaii visits the Matadome Mar. 15 and 16 at 7 p.m.
A victory over Hawaii would mark coach Jeff Campbell’s 300th career win. “We need to be playing like this and stepping it up a notch for sure against a team like Hawaii,” Campbell said.